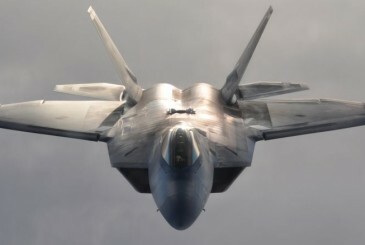 Air Force officials announced May 29 they are consolidating depot maintenance for the F-22 Raptor at the Ogden Air Logistics Complex at Hill Air Force Base, Utah. The depot maintenance work is currently split between the Ogden ALC and the Lockheed facility in Palmdale, Calif.
“Palmdale has made a storied contribution to aviation and while this move makes sense, we are certain this important workforce will continue strongly supporting the Air Force at Palmdale for many years to come,” said Lt. Gen. C.D. Moore II, the Air Force Life Cycle Management Center commander. In today’s fiscal environment it is important that every available resource is efficiently managed in order to achieve maximum return on investments. The Air Force conducted a comprehensive business case analysis and determined a consolidation of all F-22 work at Ogden ALC would reduce costs while realizing greater efficiencies, a minimum cost savings of more than $16 million per year. The Air Force has developed a 31-month incremental transition plan to complete the F-22 depot maintenance consolidation activities. This entry was posted in Military, The Americas and tagged Air Force, Hill Air Force Base, Lockheed Corporation, Lockheed Martin F-22 Raptor, Ogden Air Logistics Complex, Palmdale, Palmdale California, Utah by thedefencejournal. Bookmark the permalink.